Okay, so if you follow me on FB you probably know that I joined Weight Watchers this week (Thursday to be exact) after going to the doc and discovering my blood pressure was 145/87 I figured I had to do something about all this extra weight I've been carrying around. Not even in the throes of hardest labor have I ever had a bp that high and since it's been 18 years since I've had a baby I figure it's time to get rid of the baby fat (ahem!) I also made Mike Geraci join because he's been talking about losing weight for years now and talk is all it is. So I played around with the points thing on Thursday and made us a really healthy dinner. Yesterday, I had to renew my ACLS (that's Advanced Cardiac Life Support) for you non-medical folks and went out to lunch with my pals. We ended up at Crispers and I ordered their scrumptious signature summer salad (but only the half version) which turns out is 11 points. Now, 11 points might sound like a lot, but that half salad kept me full till dinner, where I admit, we went a little wild in the kitchen (point wise, not anything else in case you have that sort of mind). After dinner, I tossed all the tempting stuff out the door or put it in deep freeze so that I can't get to it. I also hit Costco to stock up on chicken breasts, salmon and lean meat. 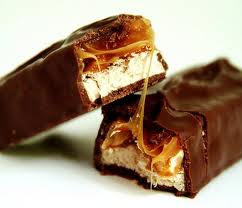 That's where I discovered this: Weight Watchers Ice Cream Bars. 4 points. I can basically eat 7 of these a day and still stay withing my points. Not that I plan to do that or anything. 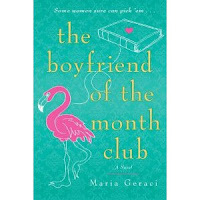 Today, I'm over at the Stiletto Gang talking about how I learned to write a short story. My first published short story will come out this November 11 in the winter anthology, Sleigh Ride. You can read all about it right here. Anyone who has ever met Truffles Geraci will agree she is one hot mess. This is her Halloween picture from last year. She is dressed as a pumpkin, and yes she is one cute hot mess, but still there you go. Yesterday I got some advice from my pals at The Stiletto Gang on Truffles' latest problem (ie: not wanting to go on walks anymore). Thanks for the all the great advice, ladies! I did crate her yesterday afternoon, and that seemed to help. Edits. And more edits. And then some more edits. It's the only way a manuscript gets better. Yep, still plugging away at the manuscript that was due forever ago. Thank God I have a patient editor. 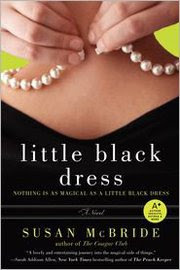 Meanwhile, whenever I have a spare second, I'm reading Little Black Dress, by the lovely Susan McBride. I can hardly put it down! Antonia Ashton has worked hard to build a thriving career and a committed relationship, but she realizes her life has gone off track. Forced to return home to Blue Hills when her mother, Evie, suffers a massive stroke, Toni finds the old Victorian where she grew up as crammed full of secrets as it is with clutter. Now she must put her mother’s house in order—and uncover long-buried truths about Evie and her aunt, Anna, who vanished fifty years earlier on the eve of her wedding. By shedding light on the past, Toni illuminates her own mistakes and learns the most unexpected things about love, magic, and a little black dress with the power to break hearts… and mend them.